You may not be hearing holiday tunes on the radio just yet… but when it comes to seasonal shopping, why not get a jump on things? The early approach doesn’t just let you cross one more thing off your to-do list—it gives you the chance to save some money along the way! See how in today’s blog. Saving is always smart—and when you have a goal in mind, the earlier you start the better! Even if it’s as simple as putting a few dollars into a jar every day, you’ll have that much more cash to work with when it comes time to buy presents. Another way to “save” before the shopping season? Enlist the help of a layaway program! Many stores (from department stores to specialty shops) offer this helpful program, which lets you pay for the desired item during the weeks or months before the holidays. This is perfect for big-ticket items, like game consoles or popular kids’ toys, and you’ll usually pay little to nothing in service fees to take advantage of layaway. Just check the individual store for details. Even if you don’t have much cash to put away now, we’re only in September—so you still have plenty of time to earn some! One easy way to do this is to sell unwanted items, like old jewelry or gift cards you’ve accumulated throughout the year. 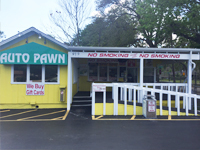 Auto Pawn can help with this simple step! Finally, starting your holiday shopping early lets you avoid much of the last-minute scramble for gifts. You know the one—the hurried Christmas Eve runs to the department store, hoping that it’s not closed and that you can still find the last gift on your list! Starting now will ensure that you don’t miss out on the gifts everyone will be wanting later on. You can also keep an eye out for sales as they come up over the next few weeks, giving you one more way to save. Finally, early shopping will let you avoid high costs for expedited shipping, which you might need if you wait until the holidays to place your order! We hope that today’s blog gives you ways to achieve simple, stress-free holiday shopping. 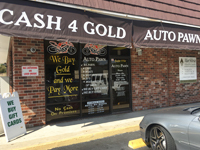 For financial help in making this holiday season your best one yet, give Auto Pawn a call today! 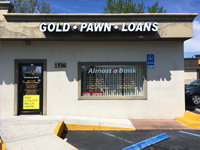 Pawn Store vs. Online Sales: Which Is for Me?